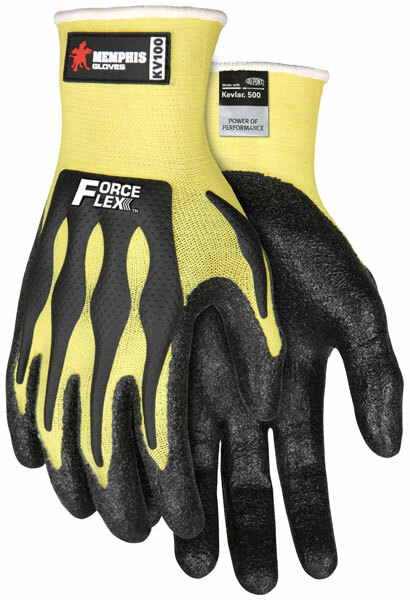 These ForceFlex gloves offer outstanding comfort and protection! Workers will grow to appreciate these gloves more and more each time they wear them, causing them to be worn more often. The more safety products are worn the fewer injuries will occur. These gloves offer cut and abrasion resistance and are made tough for tough jobs! The KV100 features a 13 gauge stretch DuPont Kelvar® shell and black nitrile dipped palm and fingers. The back of hand TPR cage helps to protect the hand from impact.